If you’ve been searching high and low for unique, Unicorn-themed packaging, I’ve got great news: your search is finally over! Nashville Wraps has rounded up the best and the brightest Unicorn packaging, sure to delight children and the young at heart of all ages. From full-sized, sturdy basket boxes to gable boxes and gourmet window boxes, there’s a full range of boxes ready for gift or gourmet items. We even have cute unicorn gift tags. 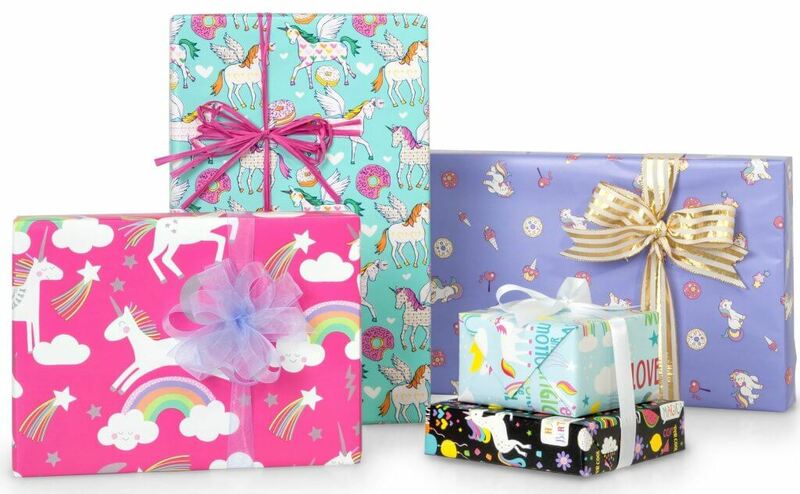 And let’s not forget our adorable Unicorn Gift Wrap in lots of fun unicorn designs! The quality of our paper stock really allows the brilliant colors to pop. 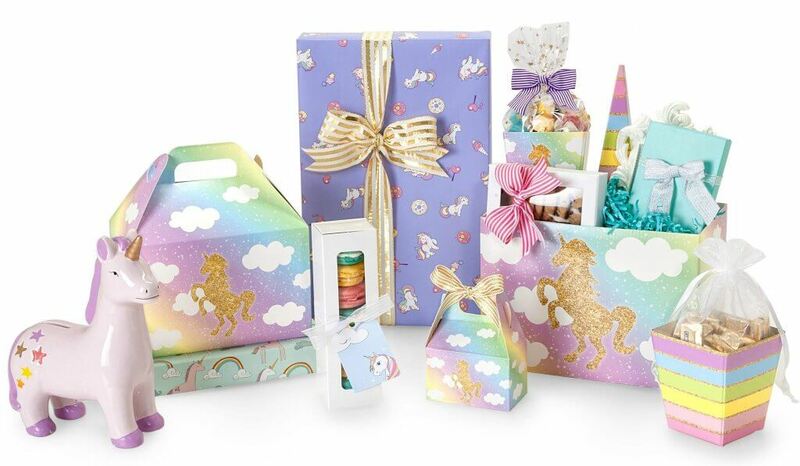 For another angle on the Unicorn theme, mix our Rainbow Stripe boxes with the other Sweet Treat Boxes . They’re pretty in pastels plus metallic-looking gold glitter bands. 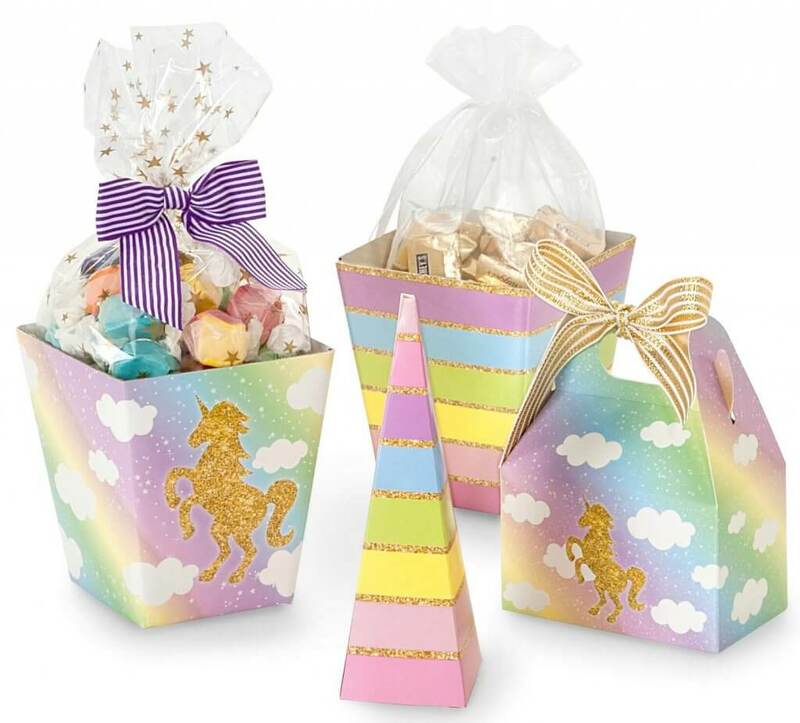 The Cone Shaped Favor Boxes in particular look just like Unicorn horns, and would make perfect favor packaging for a Unicorn-themed birthday party. Now that you’ve found your new Unicorn gift packaging, don’t hesitate to capture it today, before it gets away! We’ll try to corral them as long as we can, but these on-trend designs are selling fast.